125th Street is a two-way street that runs east-west in the New York City borough of Manhattan, from First Avenue on the east to Marginal Street, a service road for the Henry Hudson Parkway along the Hudson River in the west. It is often considered to be the "Main Street" of Harlem, and is co-named Martin Luther King, Jr. Boulevard. Notable buildings along 125th Street include the Apollo Theater, the Adam Clayton Powell Jr. State Office Building, the Hotel Theresa, the Studio Museum in Harlem, the Mount Morris Bank Building, the Harlem Children's Zone, the Church Of St. Joseph of the Holy Family, and the former West End Theatre, now home to the La Gree Baptist Church. The western part of the street runs diagonally between the neighborhoods of Manhattanville and Morningside Heights from the northwest from an interchange with the Henry Hudson Parkway at 130th Street. East of Morningside Avenue it runs east-west through central Harlem to Second Avenue, where a ramp connects it to the Robert F. Kennedy Bridge (Triborough Bridge), continuing to First Avenue, where it connects to the southbound FDR Drive and the Willis Avenue Bridge. Beginning in the late 1990s, many sections of 125th Street have been gentrified and developed with such stores as MAC Cosmetics, Old Navy, H&M, CVS/pharmacy, and Magic Johnson Theaters. 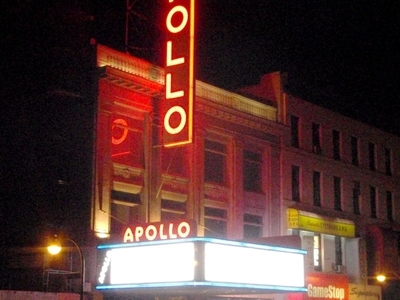 The historic Apollo Theater is here. In collaboration with the community, the city has developed a plan for the 125th Street corridor focusing on reinforcing and building upon its strengths as an arts and cultural corridor. West of Convent Avenue, 125th Street was re-routed onto what was formerly called Manhattan Street prior to 1940. What remains of the original alignment of 125th Street was renamed La Salle Street at that time. The remaining blocks run between Amsterdam Avenue and Claremont Avenue. The New York Times lamented the name changes, noting that the new names had "somewhat doubtful nomenclature," and that the City's "Aldermen like French names" but gave no rationale for the moves otherwise. A block of the original 125th Street was de-mapped to make the super-blocks where the Grant Houses projects now exist. A proposal to convert the street into a Trans-Harlem Expressway died when funds were diverted from the proposed 125th Street Hudson River bridge. 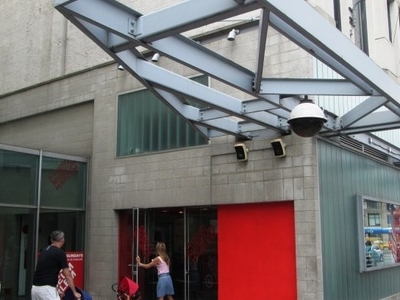 Here's the our members favorite photos of "Famous Streets near Harlem". 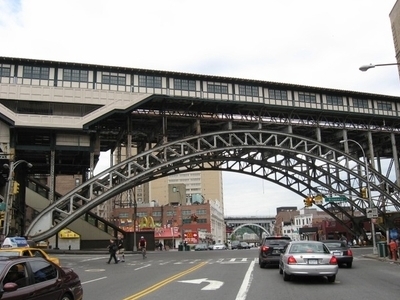 Upload your photo of 125th Street!